Installing foam pipe insulation on both your hot and cold water pipes can be an affordable, easy project that will save water and help lower your monthly energy bill. Did you know in most homes, heating your domestic hot water can account for nearly 20 percent of your energy bill? Over the course of a year, the amount of money the average home spends on hot water can be surprising. Polyethylene foam pipe insulation is an inexpensive 3/8'' or 5/8'' thick tube shaped foam usually sold in 6 foot lengths. The foam tubes have a slit down the center which allows the foam to be easily slid over an existing pipe. The tubes also contain a built in adhesive strip which allows you to easily secure the foam over the pipe. Wrapping your hot and cold water pipes with foam can have many benefits. The hot water inside your pipes will stay hotter for a longer period of time. As the hot water inside the pipes sits...it cools. This requires you to run the hot water for several seconds before the hot water from the tank actually reaches the faucet. By wrapping the pipe with foam insulation it will help keep the water hot between uses, eliminating the need to just let the water run. Pipes wrapped with insulation can help keep your water 2-4 degrees hotter. It will reduce the amount of heat lost from the water heater to the faucet. By reducing the heat loss you can actually turn down your water heater temperature and not notice the difference. Foam is a great sound insulator. Although this is not its main purpose, the foam can help reduce noisy pipes. 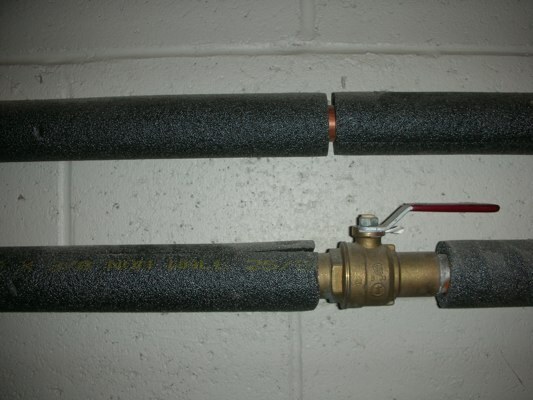 Wrapping both the hot and cold pipes will reduce condensation or "sweating pipes." If you have a finished basement with a drop ceiling, you know how destructive a sweating pipe can be! Pipe insulation is cheap. Just a few dollars will buy enough insulation to wrap several feet of pipe. Pipe insulation is a cheep, easy way to save money on your energy bill. 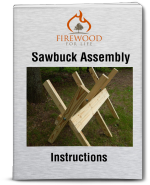 Here's the secret....Install it yourself! Don't hire a costly contractor to install if for you. The money you spend on labor to install the insulation may be more than you will recover in energy savings. With a sharp knife or pair of scissors and a little patience, anyone can install pipe insulation.